Future. Personal. Hope. Why do we use these terms? Innovative Pain and Wellness is not your ordinary clinic. This is an exciting new age of medicine! We envision, in the near future, the pendulum of the healthcare system swinging back to where it belongs: patient-centric. In today’s rapid-paced society, it has become increasingly difficult for medical care to remain a truly unique, personal experience. At IPW, we strive to bring the personal relationship back into the medical clinic. We consider it a privilege and honor to be involved in restoring your wellness and do so with compassion. 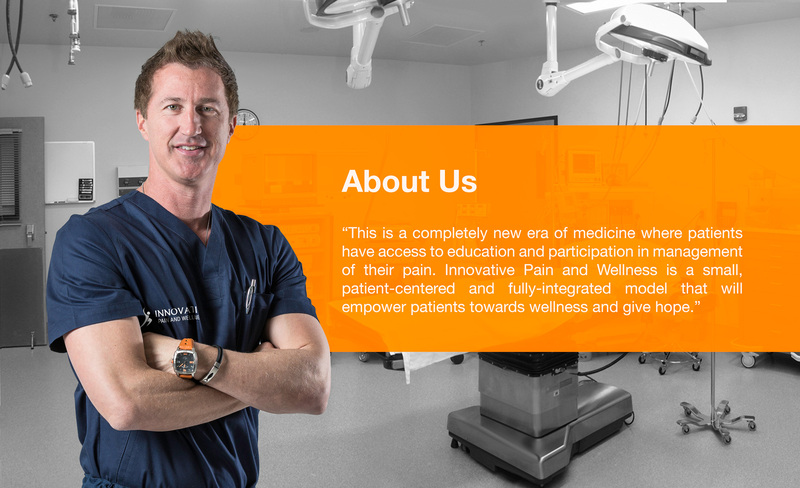 When you become our patient, your team will not only treat your pain, but also create a unique environment that empowers and educates you. Thus, allowing you to have an intimate understanding of your care and offering hope that we can help you restore the quality of life and total wellness that you deserve. Future. Personal. Hope. At IPW, we developed this concept after many years of analyzing various styles of medical practice. In treating over 20,000 patients and their families, we have consistently found that patients are becoming more and more frustrated with the world of rapid-paced, non-patient centered medical care. There is greater success, and a better patient experience, when patients develop a personal relationship with their medical providers and the entire team. We offer this, while still providing cutting-edge care with the newest advancements in medicine. We recognize that our patients all lead different lives. Genuinely knowing each patient and what influences their health and well-being—family, work, children, friends, life—is most important to us. That is why we take an integrative approach to treating your acute and chronic pain. 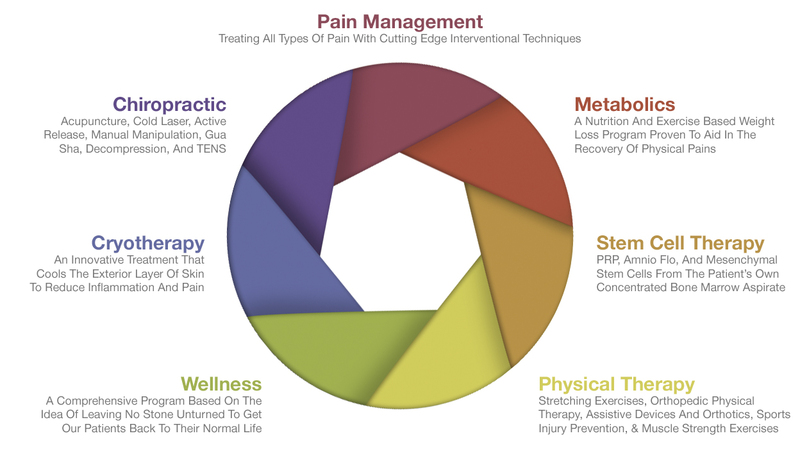 As shown in our diagram below, we have incorporated the most important, evidence-based modalities to allow your treatment every chance at success. We offer you, under one roof, a fully-integrated clinical team: interventional pain physicians, physical therapists, chiropractors, nutritional and wellness specialists, and others. When you become a patient of IPW, we approach your pain from as many different angles as possible so that YOU are an overall better person and leading a healthier, pain-free life. As our patient, you can rest assured that your entire clinical team is working together to restore your quality of life. Simply put, at Innovative Pain and Wellness we treat each patient as we would like to be treated ourselves. We look forward to helping you! Enter Your Email For Helpful News And Updates You Can Use!